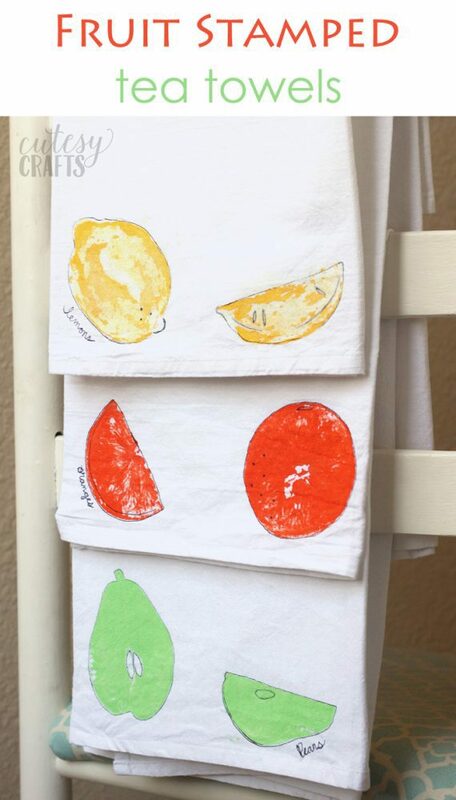 I love taking plain tea towels and dressing them up. 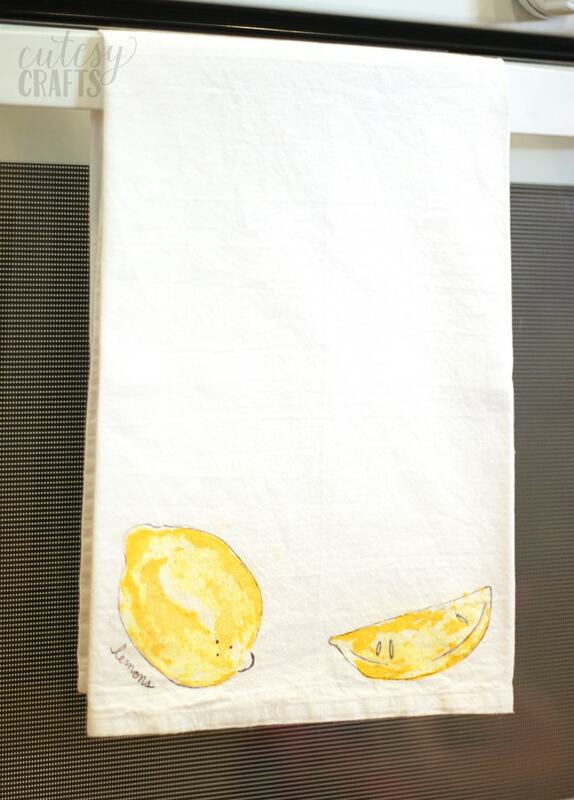 You can never have enough kitchen towels! I decided to experiment with some fruit stamping, and had a lot of fun with it. 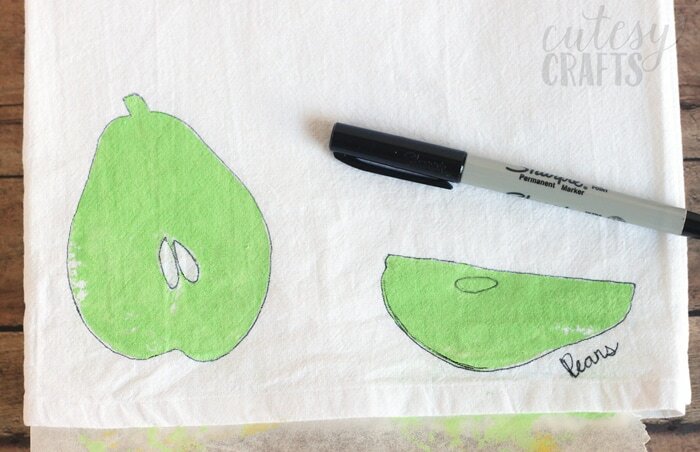 This tea towel craft is easy enough that the kids could probably make them too. Since Mother’s Day is coming up, this might be fun. I made these ones using some pears, oranges, and lemons. Apples would work well too. If you decide to have kids make them, the non-citrus fruits work best. 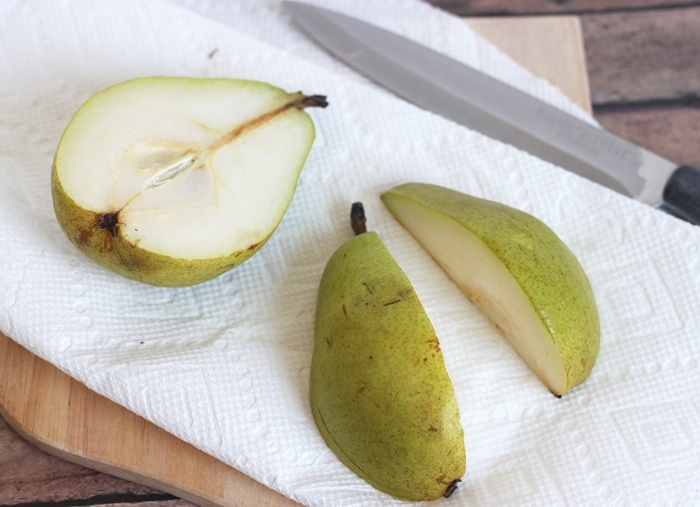 Cut your fruit in half and then cut one of the halves again. Dab the cut sides on some paper towel to get rid of some of the excess juice. 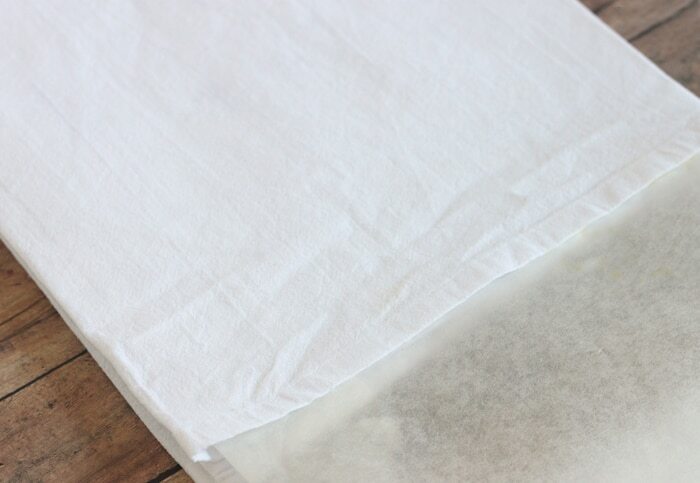 Put a piece of wax paper, parchment paper, or cardboard in the middle of your tea towel to keep the paint from leaking through. 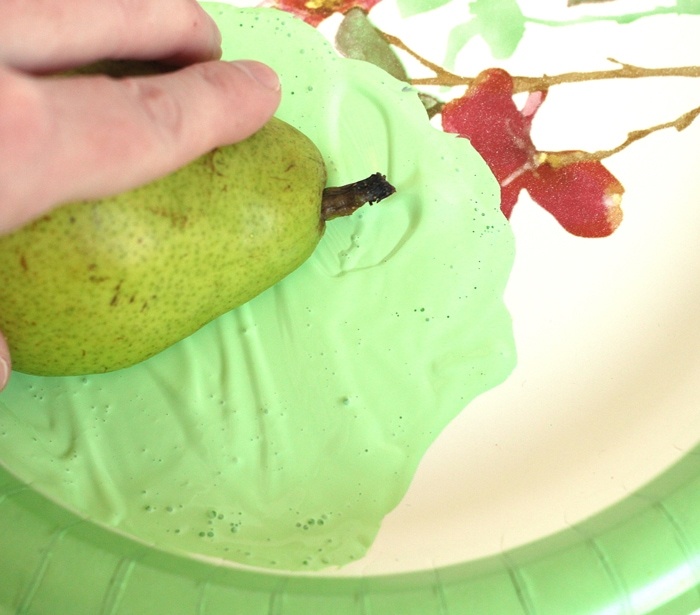 Dip your fruit into the paint, and dab it around a bit on the plate to get off some of the extra paint. 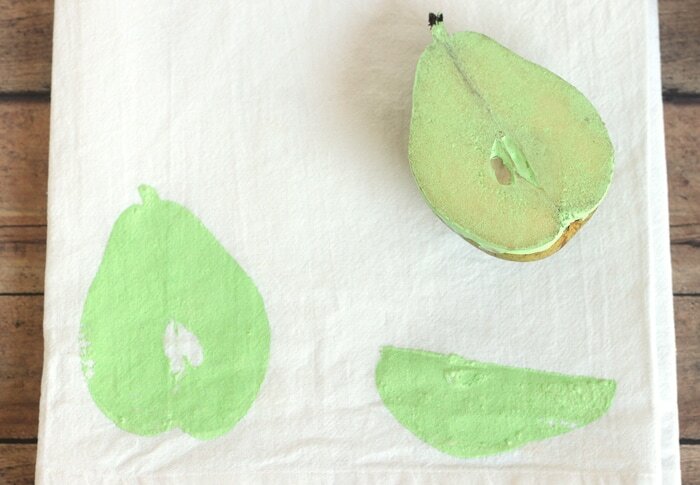 Press the fruit onto the tea towel, just like a stamp. Be careful when you are using juicy fruit like the lemon and orange. You want to press firm enough to get an impression, but not so hard that juice starts squishing out. 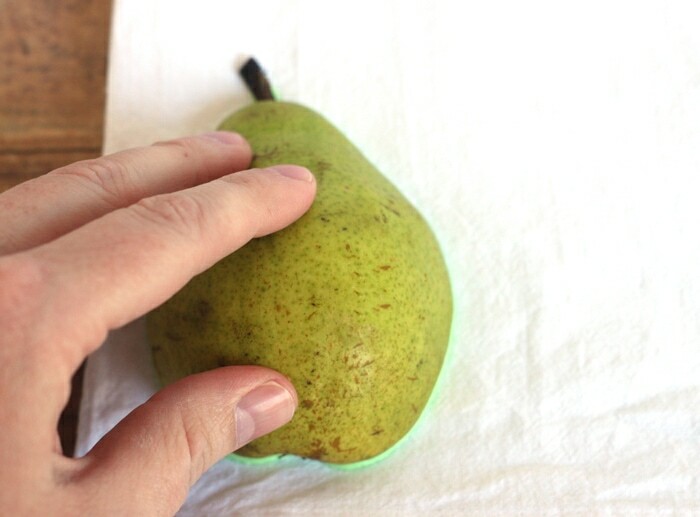 Repeat with the other piece of the fruit to make one that looks like a slice. 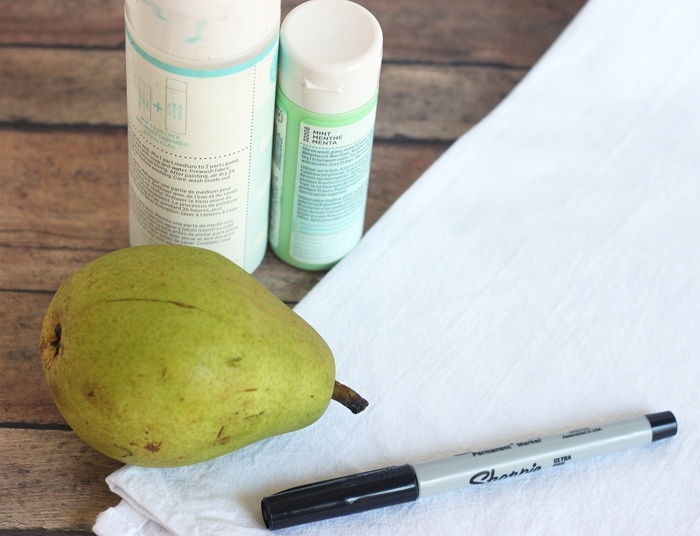 Allow the paint to dry completely and outline with a permanent or fabric marker if desired. Write what the fruit is at the bottom for an extra touch. Once everything is dry, heat set it by placing a cloth over the design and ironing it. I love the pop of color that these bring to my kitchen! 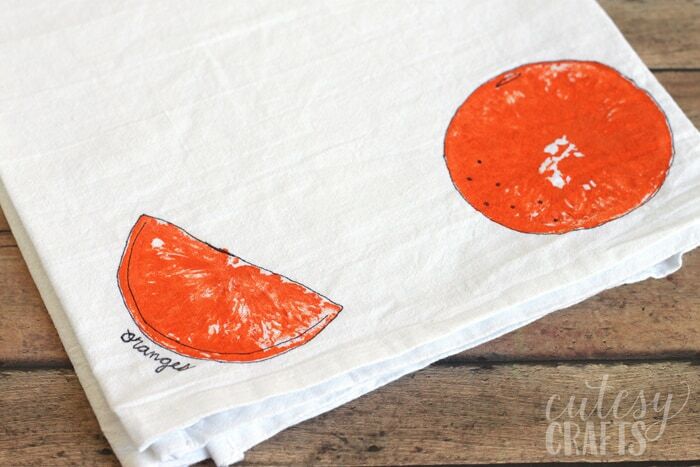 Such a fun and easy tea towel craft that anyone can make! 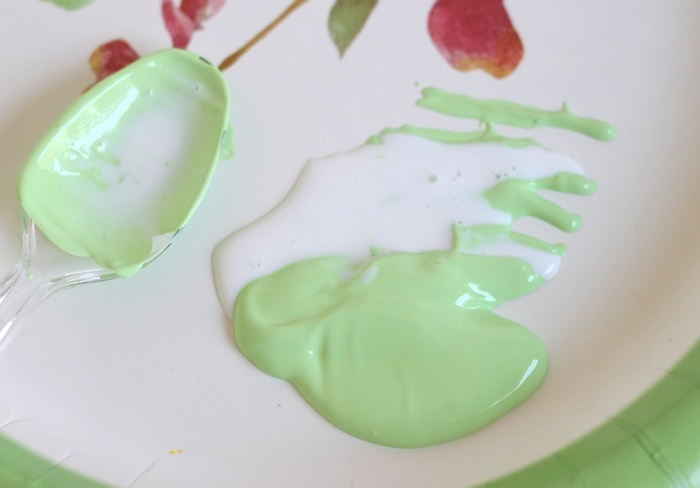 Check out these other Mother’s Day crafts for more inspiration.